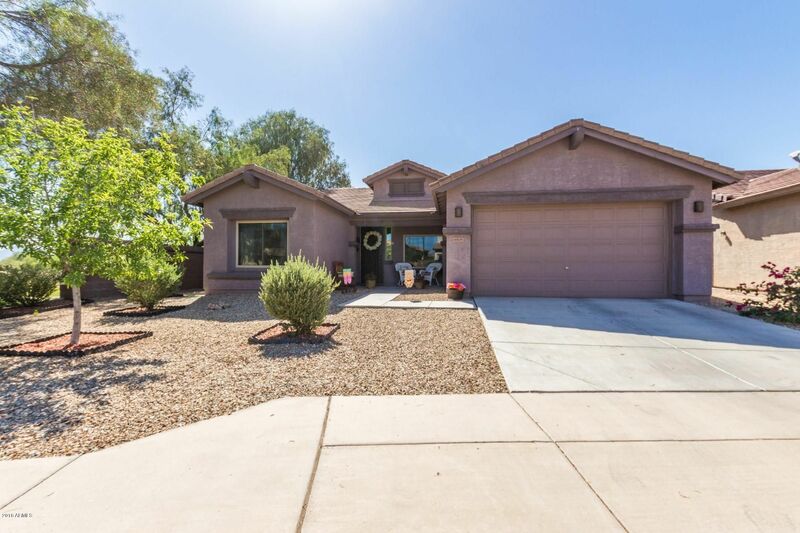 Beautifully maintained home in Rogers Ranch; 3 bed/2bath split floor plan with coveted 3 car garage offering plenty of storage - cabinets and workbench included. Next to greenbelt with mountain views from the entertainer's backyard. Close to everything you need - grocery, shopping, eateries and more! Don't miss this opportunity!